What coils do your prefer to use ? What do you consider is the best coil ? This is the place to ask questions, provide answers and discuss the pros and cons. 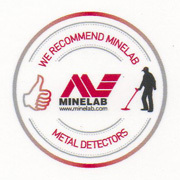 The forum to discuss your make of detector, whether it is a Whites, Garrett or DSE cheapy. SDC 2300 - loose coil. Looking for advice about a larger coil. Spare batteries for XT 18000? What to do with your old Coils.